This painting required a very early wake up call, lots of layers and some seriously strong coffee. I wanted to see the sunrise and I wanted cold earth because the combination produces a lovely mix of calm blues and pinks. 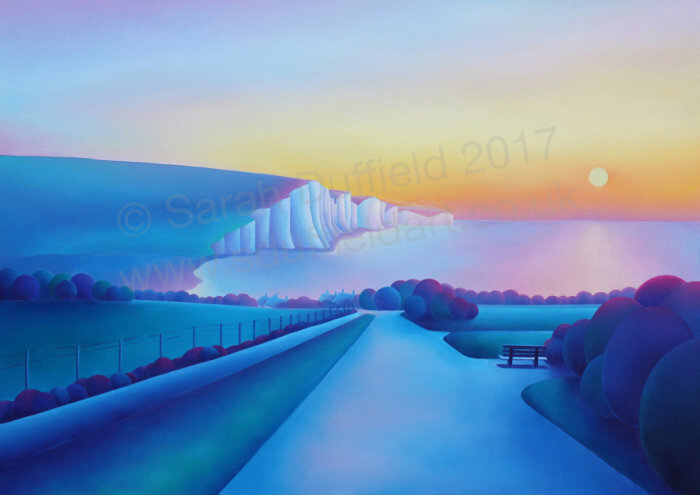 My aim was to paint the first breath of a new day and year – I love it. Sun Rise on a very cold but beautiful morning at Seaford Head, Seven Sisters in Sussex.